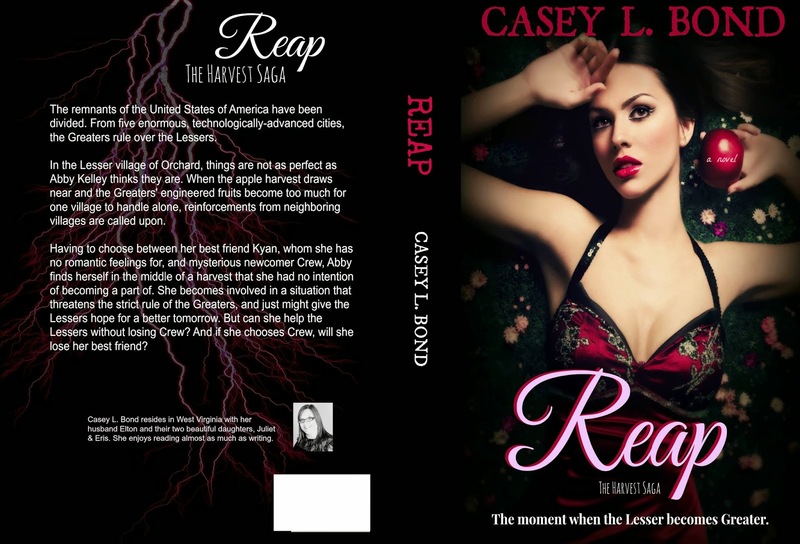 Today we have another cover reveal for author Casey L. Bond! She is on a roll with her releases this year, and REAP is her new YA dystopian. It sounds really awesome and I know that I can't wait to read it! The remnants of the United States of America have been divided. From five enormous, technologically-advanced cities, the Greaters rule over the Lessers. In the Lesser village of Orchard, things are not as perfect as Abby Kelley thinks they are. When the apple harvest draws near and the Greater’s engineered fruits become too much for one village to handle alone, reinforcements from neighboring villages are called upon.